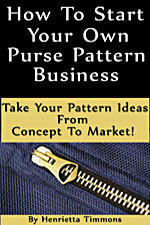 The Lovely Lady Purse Pattern by Wired Up Designs is a stylish take on the traditional women's tote bag! 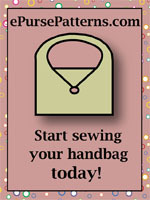 Included are instructions and full pattern pieces for the bag and a matching wallet. 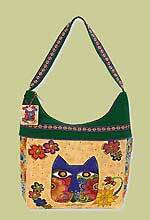 The pattern is fat quarter friendly and finished size is 11" x 9 1/2" x 4 1/2". 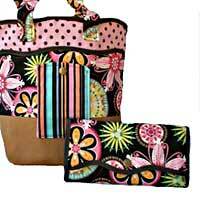 Contrast Fabric B - 1 fat quarter for the bottom panel and bottom of the bag.